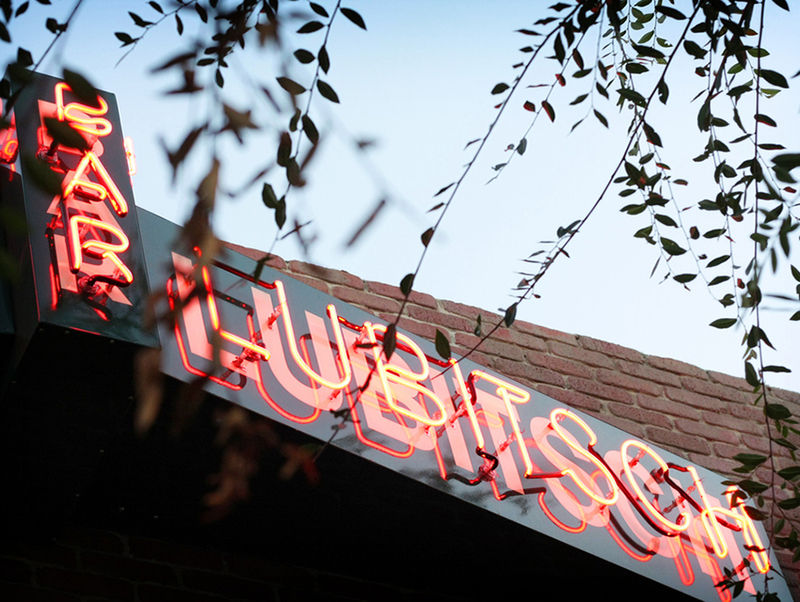 West Hollywood’s Bar Lubitsch hits the big one-oh tomorrow. A truly impressive feat in the L.A. nightlife world, especially considering it’s a vodka bar that survived the whiskey-fueled cocktail renaissance. Not even poor Lola’s, the birthplace of the Appletini, can say that. 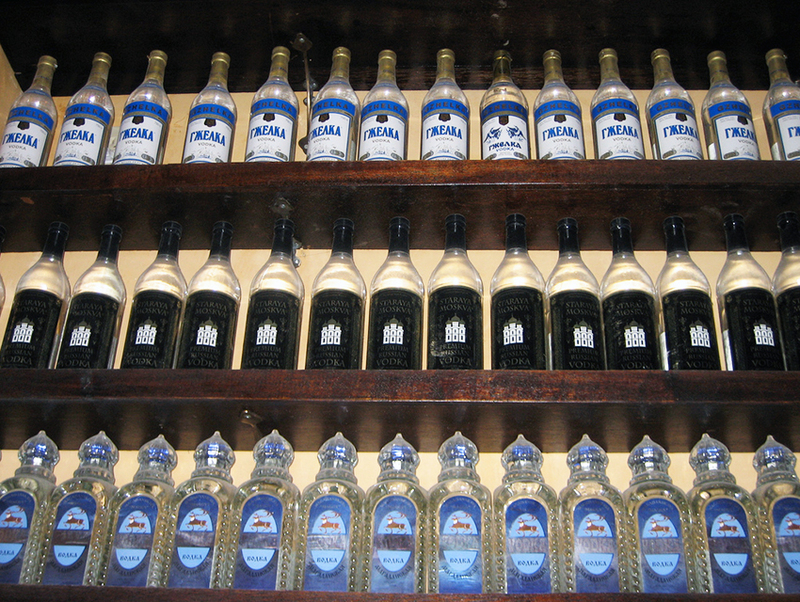 Co-owner Jared Meisler first opened the Russian-themed cocktail bar on Santa Monica Boulevard with partner Sean MacPherson (Jones) back in 2006, before craft cocktails really hit it huge in L.A. Seven Grand was still a twinkle in Cedd Moses’ eye and I was blogging about everything NOT cocktails. 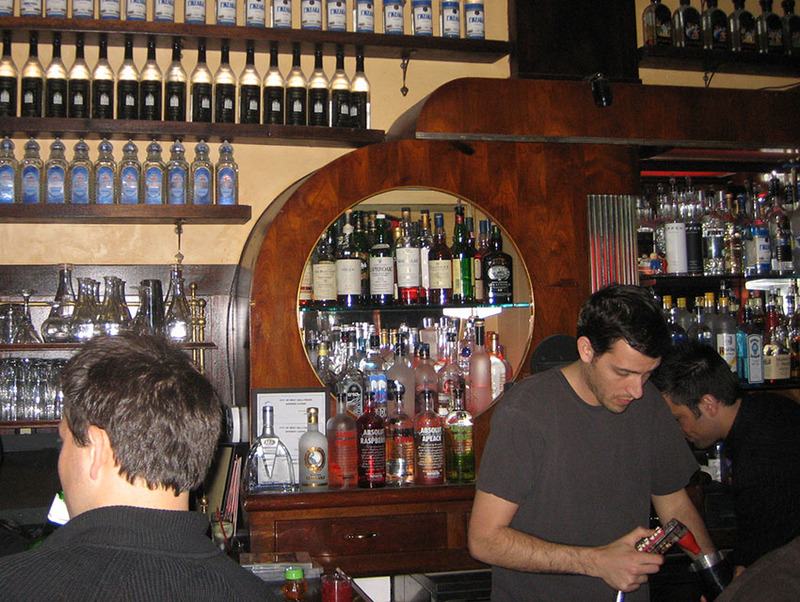 It was Meisler’s first bar ever, fresh off his stint as a bar manager for Bar Marmont. And not many know this, but Bar Lubitsch was the duo’s attempt to bring New York’s burgeoning craft cocktail scene to Los Angeles. “I went to Milk & Honey in New York and was so inspired, I gotta bring this to L.A.,” Meisler says. But because of the space’s large size, it was more conducive to DJs and dancing. And even though bars like Honeycut can now showcase both a dance floor and craft cocktails, to put two together in one venue back in 2006 would have overwhelmed patrons who, at the time, were unfamiliar with anything crafty. Bar Lubitsch and owner Jared Meisler circa 2007. The bar can claim, however, to be one of the first to use fresh local produce in its cocktails. And despite its vodka-ness, featuring over 200 vodkas, it still put out drinks that were not even remotely Appletini-ish. Here you found cocktails with flaming garnishes, made with bison grass vodka and fresh juices, and even served in rocks glasses instead of the ubiquitious martini glasses. Sure, their drink prices were considered “high-falutin” back then (at $12) but at least they didn’t have bottle service or a velvet rope, which were de rigueur back in the day. In its decade of existence, Bar Lubitsch has witnessed all the big changes in the cocktail world: the bartender position going from a part-time gig to a full-on career and vodka from beloved to maligned to artisanal. Meisler himself went on to become a key player in the city’s cocktail community, partnering up with MacPherson on The Pikey, Roger Room, and whatever is taking over the old Tinto space, as well as helping advise the first Golden State of Cocktails. So how has Bar Lubitsch managed to stay relevant in the changing cocktail world? I asked Meisler. Why open a vodka-focused bar? 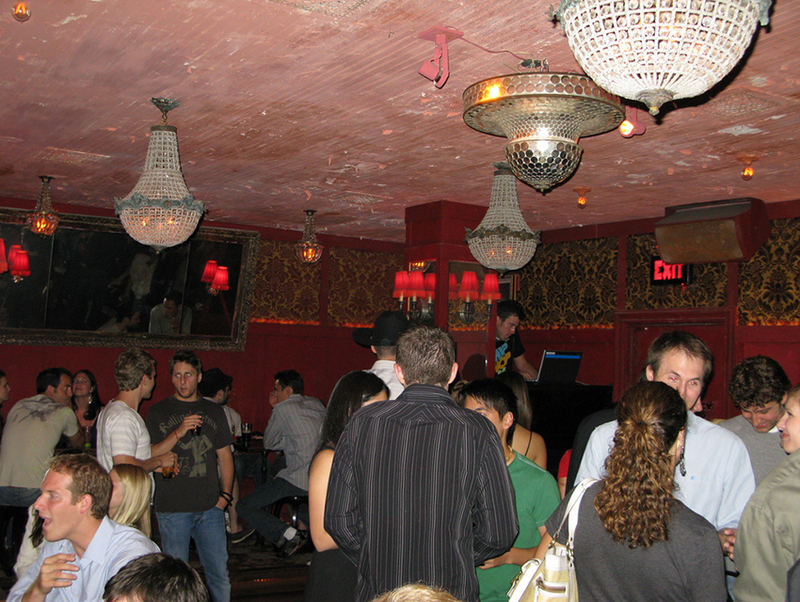 Back room at Bar Lubitsch in 2008. How do you keep a vodka bar relevant? How has the drink scene changed in the last 10 years in L.A.? What’s the secret to Bar Lubitsch’s longevity? What’s the strangest vodka that you carry? Tomorrow is Bar Lubitsch’s 10th anniversary party which will feature star DJs in the front and back rooms as well as half-priced cocktails (originally $12 each) til 2 a.m.. If you can’t make the shindig, the bar will be doing those half-priced drinks through Sunday. Bar Lubitsch, 7702 Santa Monica Blvd., West Hollywood, 323-654-1234.